Our lives are complex and each stage in our life has its own unique set of joys and challenges. As we transition from one stage into another there are many financial questions to consider to put our house in order. The planning process helps us reduce stress, thereby enhancing our life experience. Pacific Investment Research provides comprehensive financial planning to reduce your stress and provide actionable recommendations. Comprehensive financial planning takes into consideration various financial aspects of your life, including cash flows, risk management, insurance planning, tax planning, investments, and estate planning. Comprehensive financial planning can be especially useful as we approach retirement and/or are in the retirement phase of our lives. Let us be your partners in creating and living a life of your dreams. Where are you starting from. Where you want to end up. The steps and milestones necessary to get you there. Once the discovery process is complete and the data is gathered, we get to work analyzing your unique financial situation. We use a cash flow based approach to planning, meaning we collect current income and expense data and use it to project cash flows year into the future, while also accounting for unexpected events. We want to make sure all aspects of your financial life are evaluated and organized to meet your needs now and in the future. Really, this plan is a detailed road map to your future. We assess the risks you face in the areas of life, health, disability, long-term care, home/auto, and personal liability. We then make recommendations regarding coverage or suggest areas for further discussion with your insurance professional. We will review your tax returns, analyze current and projected income tax exposure, and make recommendations on how you can reduce your future income tax liability. Here, we will forecast your income, expenses, savings and withdrawals. In addition, we will determine the most tax efficient way for you to take income during retirement from taxable accounts, retirement accounts, real estate, social security, etc. We will thoroughly review all your existing investment holdings. We will also help you reassess and refine your investment objectives so they more closely align with your overall goals and time-frame. Our approach is always “big picture” in nature to ensure that we address any possible variables. The investment plan will also include a disciplined strategy for managing the downside risk of the investment portfolio – a key strategy in securing your long-term peace of mind. Among the most important considerations of any wealth management plan is: what happens to my remaining wealth when I die? We work with you to review the financial aspects of your estate plan. Our goal is to help you minimize estate taxes, while preserving your wealth for your beneficiaries. We will also work with your estate planning attorney (or recommend a trusted one), to ensure that all your necessary estate planning documents (wills, beneficiary designations, trusts, powers of attorney, etc.) are in order. We will also help you make lifetime gifts to loved ones or charities if you so desire. Once your financial plan is completed, Pacific Investment Research will work with you to implement the plan. This includes review and updates to make sure you are staying on track to the milestones in the plan. As obstacles arise, we will adjust the plan as needed. This way, we can help ensure that you achieve the goals you set for yourself. Planning and organizing all aspects of your financial life so you can enjoy the fruits of your hardwork. 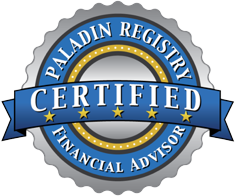 Schedule your complimentary financial review today.